Wine Purse, Where’s My Bourbon Briefcase? 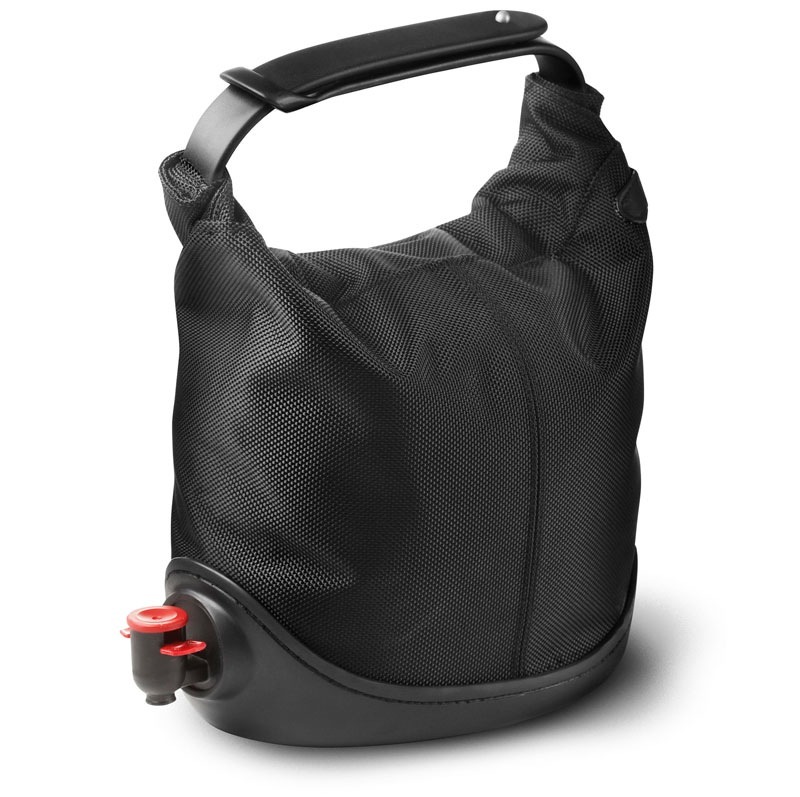 Recently released by the Scandinavian Design Center, the Baggy Winecoat is a poorly named purse that holds the internal bag from boxed wine with a convenient pour spout and sturdy base for fashionable picnic drinking. In this age of Mad Men mimicry, when we can’t all keep a fully stocked bar in the office, I think now is the time for stylish, discrete liquor luggage. Wouldn’t it be great to show up to a party, or invite colleagues into your office on a Friday afternoon, with three bottles discretely stashed in your stylish briefcase with built in taps? 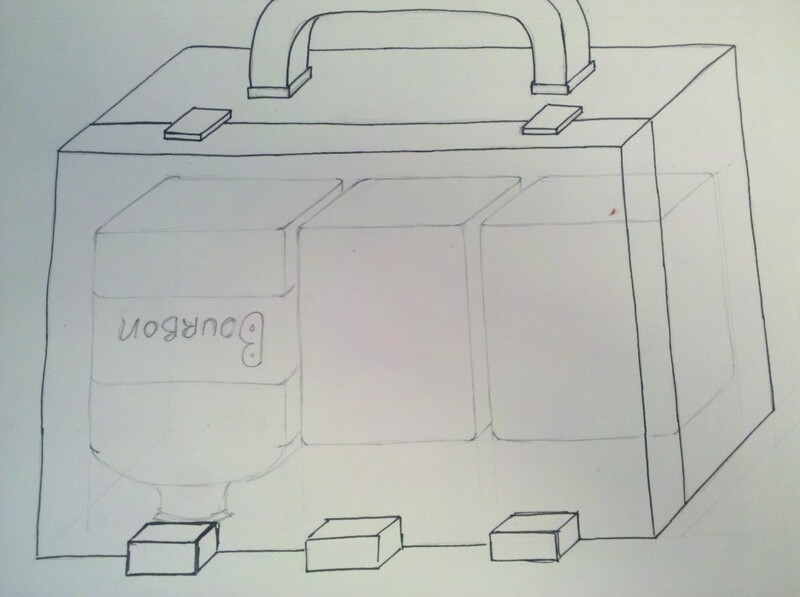 I’ll probably have to design and build by own bottle bag, because I haven’t seen what I seek on the market yet. Please post comments below on the features you would like to see. Classic style in wood and leather. Include a secret compartment to hide documents, so nobody realizes I have to do real work occasionally. The apothecary bottles common to bourbon would be a great fit; flatter and more square than wine bottle shape most often used for spirits. Low profile buttons at base for discrete dispensing. Thieves – I’ve been making my own wine purses since 1999. Shooot. It would be nicer if there was space for some vermouth and a drip dropper for the bitters of your choice, so you can have a Manhattan case! How about stacking them so that the taps alternates front and back and on the other side of the bottles have a Styrofoam liner for ice and then an area for cups on the top? Where can I buy this please ? ?